Nice! That was a great read man! Every morning I start my day b watching Alien Song. FOR FIFTEEN YEARS! (: You make me smile every day. Thank you. That's crazy! Aren't you sick of that video yet? Thanks for the nice message! Thats a great read and a well rounded Q&A. Great to get more back story on how you came onto the project! 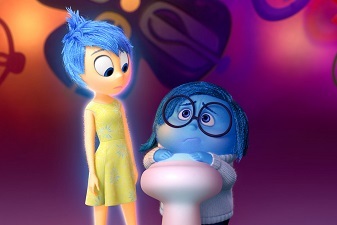 I just learned from friend Eric Apple that you worked on INSIDE OUT. Congratulations on its Oscar win! It was my favourite, and my entire family and I were cheering for it tonight. Well-deserved win!